The way we interact with people is changing, both in our personal and professional lives. When we send text messages to friends and emails to colleagues, we expect a quick reply. And whether we're instant messaging a co-worker or chatting with customer support on our favorite website, we often get a response almost instantly. Wouldn't it be great if your sales team could connect with prospects in a similar way? No matter which stage of the sales lifecycle they're in, 82% of consumers rate an "immediate" response as important or very important if they have a sales question. Live chat software allows salespeople to interact with website visitors as they're exploring content or researching products. Plus, many live chat software options integrate with CRM databases, and contact data and transcripts can be aggregated. 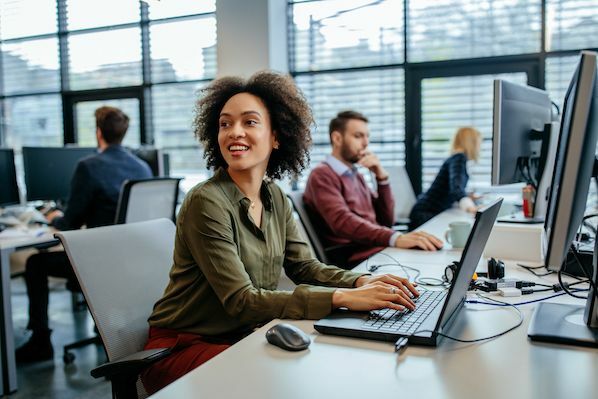 And this information can be used to convert prospects to customers and inform business decisions across departments (i.e., sales, marketing, and customer success). Could your company benefit from live chat software? If so, here are some of the best chat tools on the market, presented in no particular order. Intercom created chat software specifically for sales. You can route leads to specific sales people, continue messaging via email, and target contacts by their browsing behavior. Plus, it integrates with software like Slack, Zoom, HubSpot, and more. This chat tool lets you communicate with visitors quickly and easily. 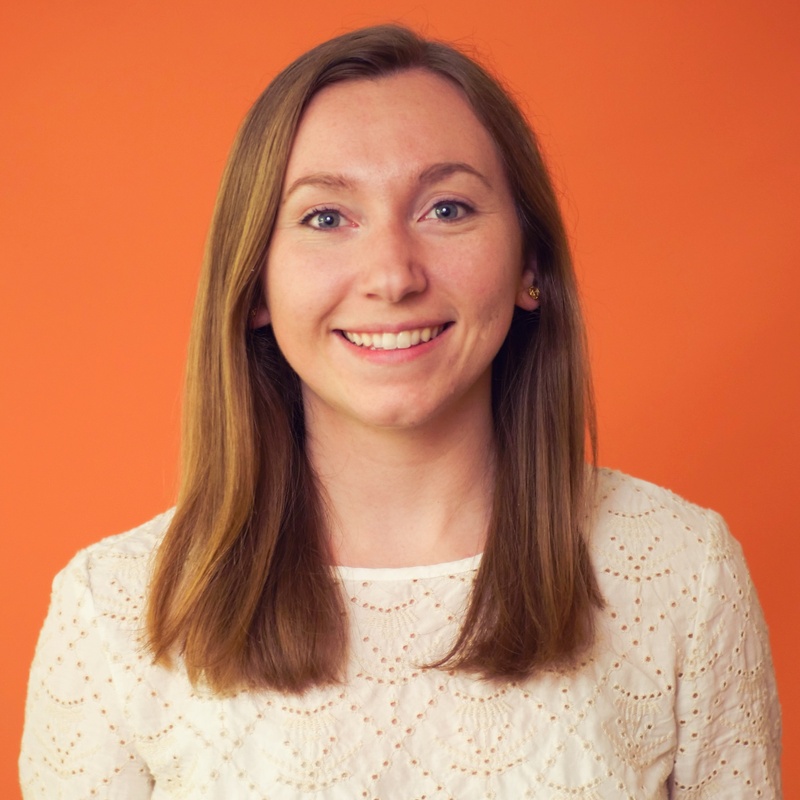 Because it’s tied so tightly to the HubSpot CRM you’ll know exactly who you’re chatting with and their history, be it a prospect, long time customer, or new contact. Incoming live chats are managed in Conversations, a free, collaborative inbox that your entire company can use to collaborate on incoming messages. Deals, tickets, and more can be spun up from live chats and transcripts are stored on the contact record in the CRM. LiveChat will help you turn website visitors into qualified leads. 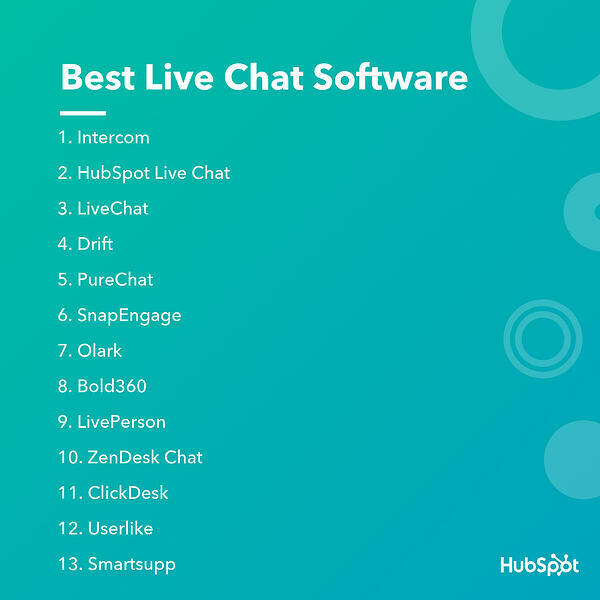 For example, one of their customer's saw a 1,000% increase in conversion rate for contacts who used the live chat compared to those who didn't. Key features of LiveChat include chat transcripts and archives, multi-lingual chat, and report creation. Drift is a chat software that allows you to automate portions of the chat process. Use the LeadBot to qualify leads, help book meetings, and convert leads faster. Chat with people while they're visiting your website. Get started for free with unlimited chats and historical chat transcripts. It can be customized to fit your brand and allows canned responses so you can quickly reply to visitors. SnapEngage integrates with a variety of CRM databases and chats can be managed from many channels (e.g., Facebook Messenger, WeChat, and Tweet-to-Chat via HootSuite. A unique feature of SnapEngage is that it's HIPAA compliant, so it's secure for medical businesses who handle patient information. Olark helps you customize your chat messages by seeing which page the contact has viewed, and pulling up past conversations if they chatted before. Add the chat tool to specific pages and it can automatically send a targeted chat message based on the page the visitor is viewing. Plus, it integrates with popular business software and platforms. Bold360 is another chat software provider that integrates A.I. in its chat processes. Plus, you can increase customer acquisition with personalized engagement. This chat software helps you reach prospects through channels like SMS, WhatsApp, and Facebook Messenger. It also offers a tool called BotStudio that simplifies bot creation with pre-built bot templates. Formerly known as Zopim, Zendesk Chat is a customizable chat tool that integrates directly with Zendesk and other popular software. And it offers robust chat analytics to help sales teams identify any issues and evaluate agent performance. A unique feature of ClickDesk is that it also includes voice and video chat. Visitors can even initiate a chat from interactive maps. And pre-chat surveys help you gather valuable contact information. Userlike helps salespeople create personalized conversations and allows contacts to provide feedback on service and features. When a person provides their email address, the chat tool turns anonymous visitors into contacts with a smart profile. A unique feature of Smartsupp is its live chat with video recording. It integrates with platforms like WordPress and Shopify. Plus, you can track the impact of your chat conversations with Google Analytics. Acquire is a multi-channel messaging platform featuring co-browse and live chat. 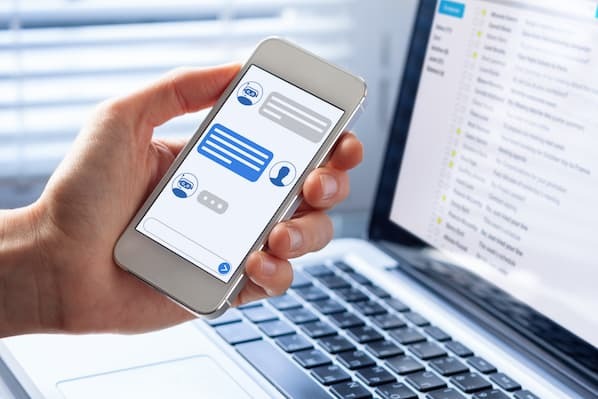 Bots help onboard new customers and answer common questions quickly, live chat makes it easy to deliver fast, personalized support, and profile management allows you to escalate certain customer conversations. Live chat software allows salespeople to engage with website visitors in real-time, answer their questions, and hopefully move them to the next stage of the sales process. To learn more, check out the ultimate guide to using live chat software in sales next.